This article features some of the portraits that have been carved by some of my student/customers and blog readers. Maybe they’ll give you the encouragement to try some of your own. Pumpkins and watermelons that have carved portraits are a great way to honor guests at any special occasion. This first watermelon portrait was carved by Deborah Cheeseman. Deborah, who is a professional caterer as well as a student/customer of mine, created this for a wedding rehearsal dinner. It’s a very good likeness, isn’t it? 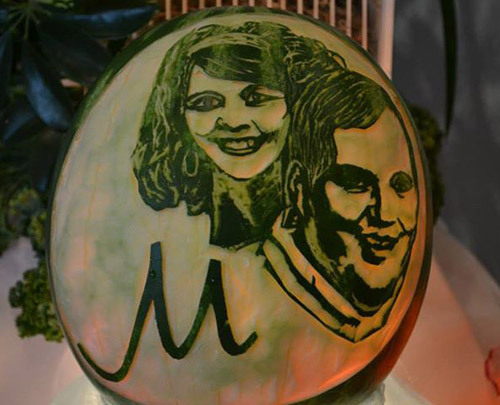 Caterer Deborah Cheeseman carved this watermelon portrait for a wedding rehearsal dinner. This is the original photo that Deborah used to make to pattern for the carve portrait. 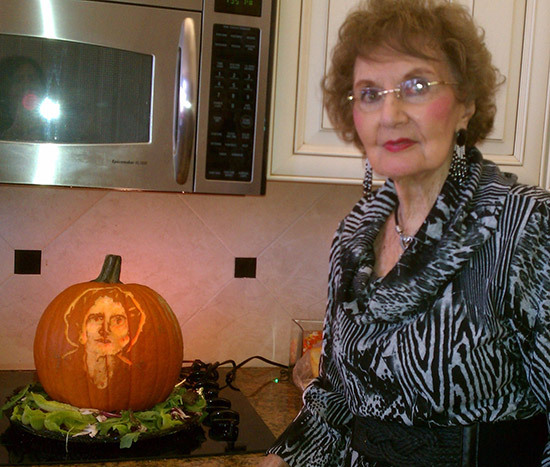 You can also see Deborah’s very first pumpkin portrait that she carved of her 90 aunt on a previous blog post. You can learn how to make carving patterns from photos in my Portrait Carving Course. 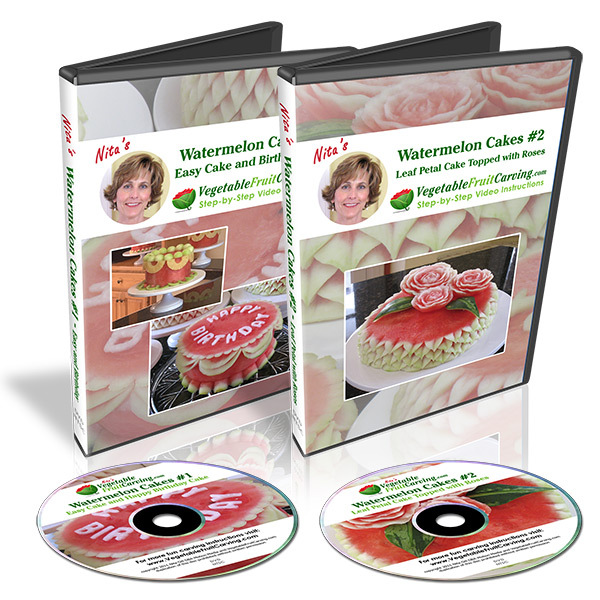 You can learn more about my video lessons by clicking here. The next photo shows customer/student, Lynn Schreer’s first carved portrait on a pumpkin. I love Lynne’s sense of humor that shows in what she wrote when she sent me her photo. Lynne Schreer’s first pumpkin portrait of her 98 year old mother. It sure looks like her. This photo of my first pumpkin portrait attempt was taken AFTER our Thanksgiving dinner. The pumpkin had been a centerpiece on our buffet with lots of curly greens and vegetables, flowers, etc. This photo of my mom with her pumpkin was taken during cleanup. I was very proud of myself until my sister in law thought it was a portrait of George Washington. Everyone else thought I was brilliant! She was not allowed dessert. Thank you for your wonderful lessons. I had to smile at the part about not allowing the sister in law dessert. My mom was 98 in that photo from Thanksgiving 2012. She will be 100 in March and looks the same. I always tell her it’s a little freaky that she looks like that at her age. She has an incredible sense of humor, is totally with it, and still tells me when my hair gets too long. I am very aware that I am blessed. We all would be so lucky to be that good looking and healthy at 98! Great job on your first pumpkin portrait, Lynne. Retired FBI man, Cary Thornton, carved these next few watermelon portraits of influential leaders, two of whom have passed from this world recently. 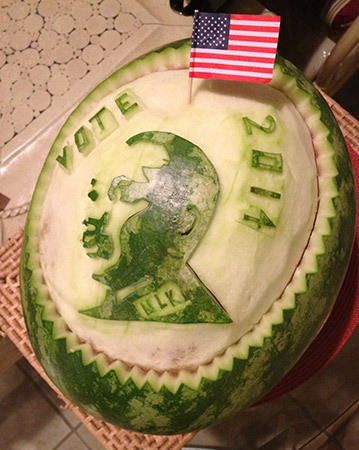 Martin Luther King watermelon carved portrait carved by Cary Thornton. 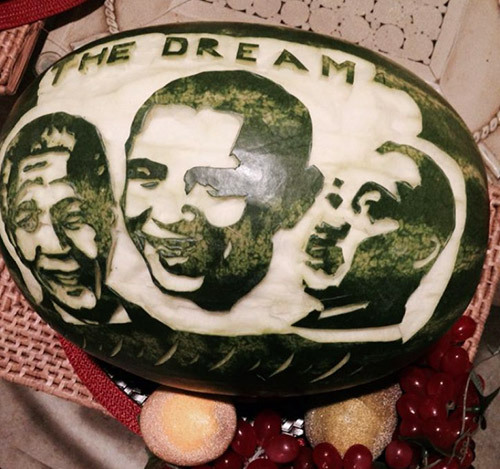 Watermelon portraits of Nelson Mandela, Barrack Obama, and Martin Luther King. “The dream” has come a long way since Martin Luther King’s famous speech in August of 1963. 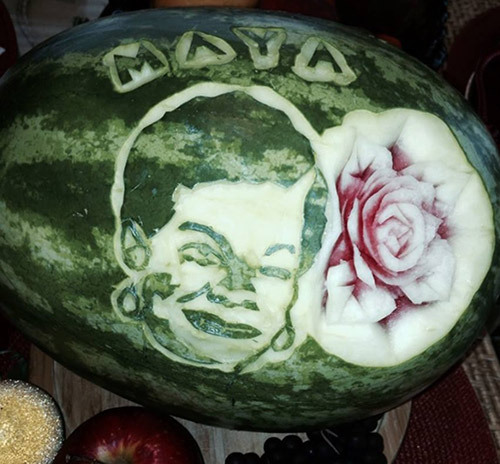 Carved portrait on watermelon by Cary Thornton features reknown author, poet, dancer, actress and singer, Maya Angelou who passed from this world in June of 2014 at the age of 86. She was also well known as Oprah’s friend and mentor. 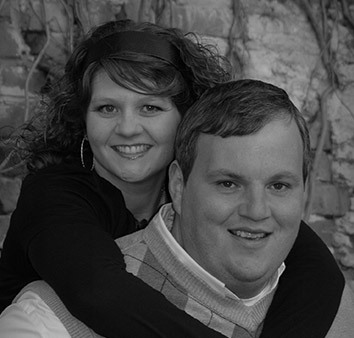 Whether you are carving portraits of celebrities or of friends and family, it’s fun to do. A big thank you goes out to Lynne, Deborah and Cary for sharing their pumpkin and watermelon portraits with us. Looking for more inspiration? You can see another remarkable first time pumpkin portrait by clicking here. If you want to honor a special person at your next event, check out my Portrait Carving video course. 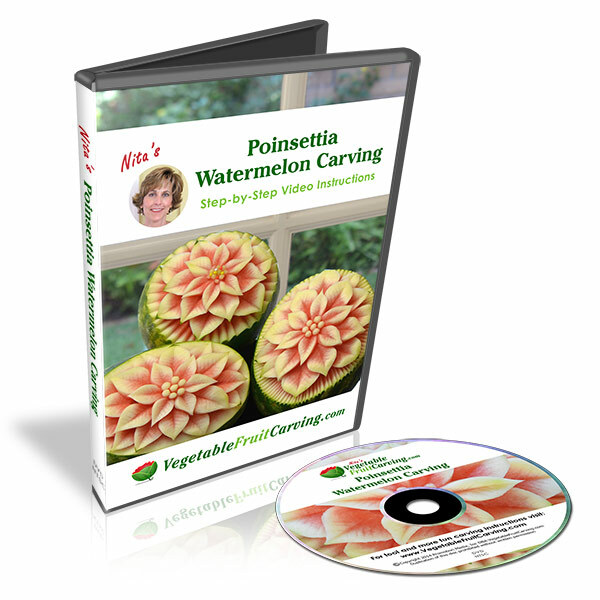 I’d love to see the carved portraits on pumpkin and watermelon that you create. Thanks for sharing such amazing carvings. I love them and I will be learning how to do them since I have some special events coming up. You’re welcome. Thanks for taking the time to comment, Janette. 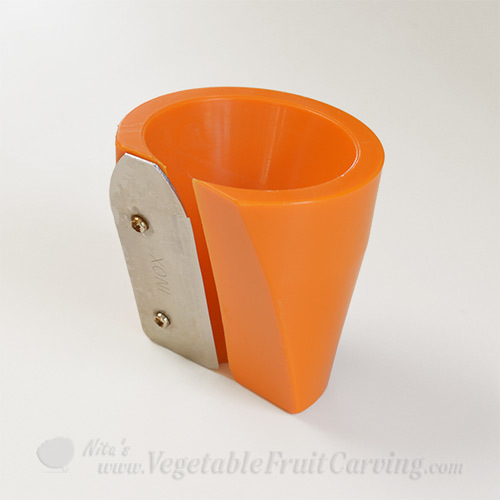 I am amazed about the carving ideas from Nita. 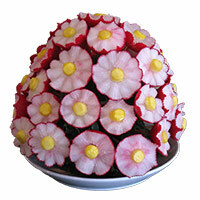 I especially love practicing the red onion flower. I go replay the videos over to get it right. Thanks for taking the time to post a nice comment. Glad you enjoy the videos. How’d yaw’ll do that? Ooh, ooh, ooh, I wanna learn how to do it too! My Portraits Course teaches you exactly how to make patterns from photos and carve them. You can lee more about my Portraits Course at //www.vegetablefruitcarving.com/pumpkin-carving-portraits-course/. If you choose to join my course, I’d love to see photos of your carved portraits! Have fun! Send me photos of your portraits if you like. I’d love to see them.